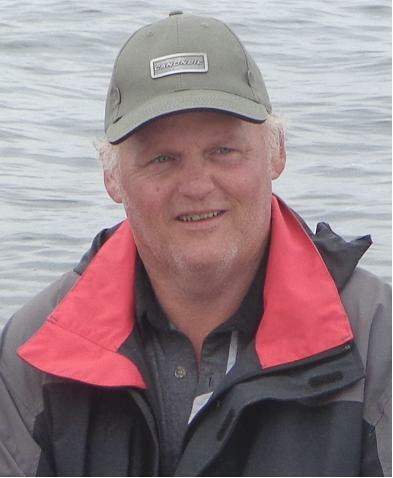 Patrick Lorne Lewis, late of Tyvan, SK passed away suddenly at home on February 4, 2019 at 60 years of age. Patrick was predeceased by his brother Bill. He is loved and missed by his wife Colleen Wilson; mother Margaret McDonald; daughter Nicole (Brent Quinton); son Charlie (Kristina Ness); brother Dan (Beth) Ceniccola; niece Storm; nephews Michael and Jason; and great-nephew Boden. He will also be missed by Colleen’s family and many friends and neighbours. Born in Edmonton, Pat grew up in Kelowna and moved to Tyvan in 1980. He was a plumber/gasfitter and was employed at Bronco Plumbing for over 25 years. Respected for his skill and honesty he was a dedicated tradesman who couldn’t say no to helping out someone in need, no matter how late the call or how cold the weather. An avid sports fan, he cheered on the Blackhawks, the Orioles, and especially enjoyed ribbing Rider fans if they were beat by the BC Lions. What he loved the most was spending time with his family and friends, whether it was working on vehicles, fishing with his brothers, or spending the evening around the fire pit, telling jokes and sharing stories. While we all enjoyed Pat’s sense of humor, it was his compassionate nature and the love and devotion to his family and friends that will be missed most of all. A Public Celebration of Pat’s life will be held at a later date, with a notice appearing in the Leader Post. In lieu of flowers, charitable donations in memory of Patrick may be made to the Canadian Diabetes Association, 917 A. Albert Street, Regina, SK, S4R 2P6.